The Second Sunday Concert Series presents monthly concerts with Boston area musicians & beyond, programmed by Music Director Aaron Jay Myers. 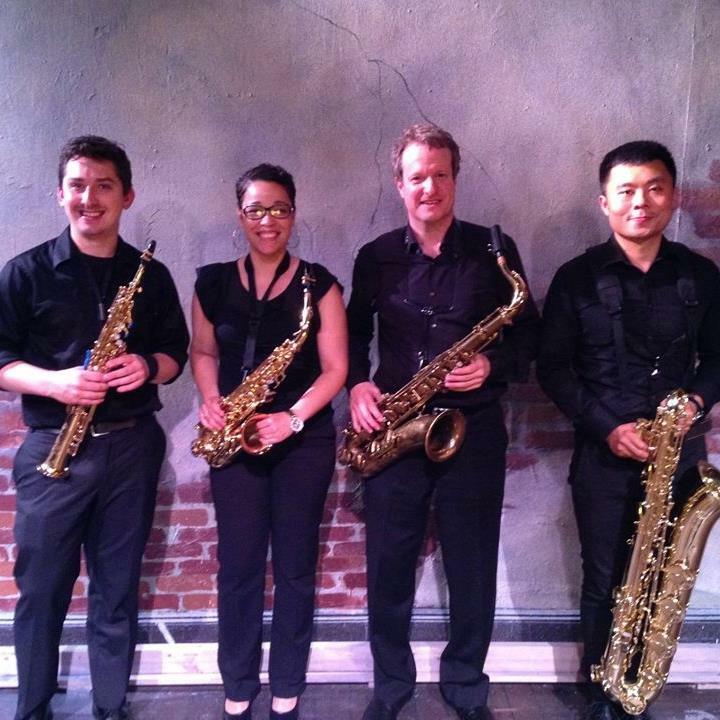 The Area 9 Quartet is a Boston-based ensemble dedicated to exploring the rich, diverse and ever growing chamber music repertoire for saxophone. Recent performances have included works by Bach, Debussy, Glazunov and Vaughan Williams, as well as compositions by Sidney Bechet, Paul McCartney, Freddie Mercury and Herbie Hancock. Area 9 is also proud to have commissioned and debuted new works by contemporary composers, including Jun Feng’s “Somehow, Tango”, performed at the Longy School of Music in Cambridge, MA in 2015, and Michael Kosch’s “Castle in the Air”, which Area 9 premiered at the Metropolitan Playhouse in NYC in December of 2016.